This is the final design in the Irresistibly Yours Specialty DSP. Before using this design, I didn't think I liked it. 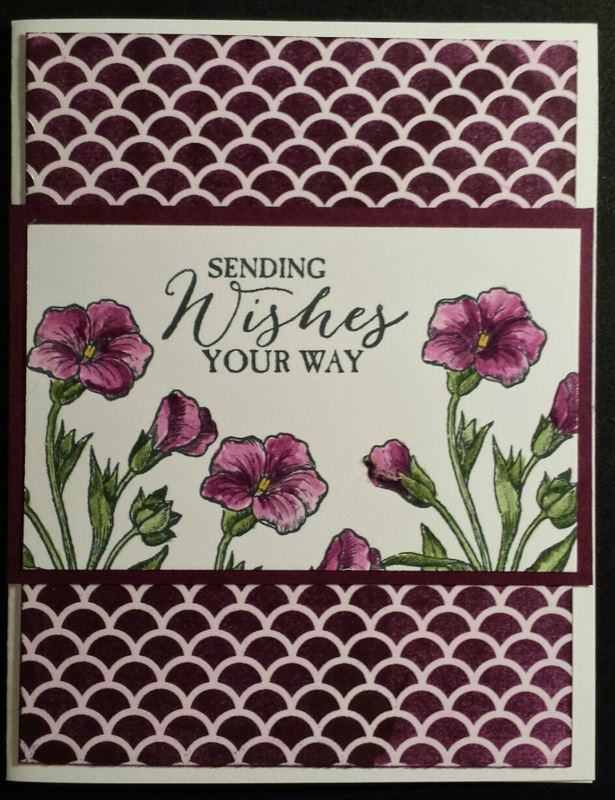 I used the Blackberry Bliss ink pad in a direct to paper technique to color the background. I also used the Blackberry Bliss ink pad and blender pens to color in the flowers. The center of the flowers is Hello Honey and the stems and leaves are Mossy Meadow. I think this is my favorite card in my Irresistibly Yours series.